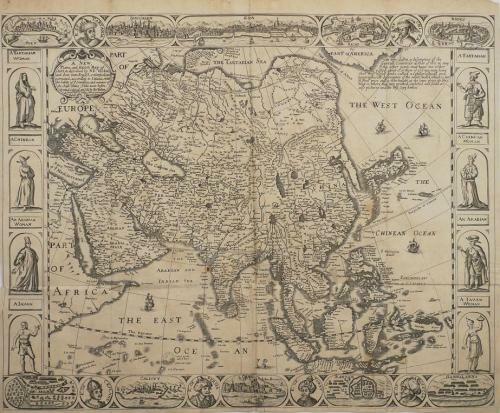 Title: 'A New Plaine and Exact Map of Asia', Robert WALTON (1618-1688) London, ca. 1660. Second State. Condition: An uncoloured copper engraved map with original folds and with margins cropped close to the plate marks but with no loss of printed surface, a little aged toned, otherwise the maps are in very good original condition on supple paper. A few spots and very minor cracks at the lower fold line on several maps. Binding stubs are on the verso of all maps.